The urgent NATO meeting in Brussels was another good example of «double standards» practiced by the leadership of the organization. Instead of studying the ways to interact with Russia in the air campaign against terrorists in Syria, NATO made a decision to take a tougher stance against Moscow claiming it to be almost fully responsible for instability in the region. This is the result of policy implemented by Washington being concerned over Russia’s growing influence in the strategically important Middle East, and the separate game that Ankara wastes no time to play. A Russian aircraft violated Turkish air space by mistake and Turkey brought the incident to the top of the agenda of the NATO session. In the final statement the participants noted «the extreme danger of such irresponsible behaviour». «Russian military actions have reached a more dangerous level with the recent violations of Turkish airspace on 3 October and 4 October by Russian Air Force SU-30 and SU-24 aircraft in the Hatay region,» the statement says. Actually the wording echoes the Turkish version of what happened, fully ignoring the essence of the events in Syria. The Turkey’s intention is more than clear. Its main goal is to forcibly overthrow Syria’s President Bashar Assad and ensure that the further development of the events in that country meets its interests. 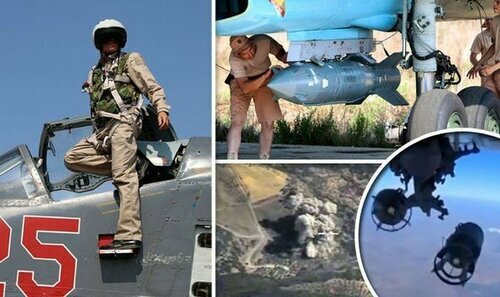 Ankara realizes well that the air strikes launched by Russia complicate the accomplishment of this mission postponing the implementation of its plans for uncertain period of time. Essentially, a US-UK-Turkey alliance is being formed to oppose not only Russia, but also such leading European powers as Germany and France, not to mention Central and Eastern Europe. The Turkish political establishment interprets this tendency the following way: a US official has said he does not believe the incident was accidental putting the blame on Russia. UK ambassador to Turkey Richard Moore tweeted: «Russia’s incursion into Turkish airspace is reckless and worrying. UK, and its other NATO Allies, stand shoulder to shoulder with Turkey». In fact, it was Obama who gave a signal to react this way. Besides, Turkey goes to any length to make its voice heard inside NATO to counter the European Union, the organization it has practically frozen ties with. According to available information, its tacit encouragement of asylum seekers flows to Europe is viewed by Ankara as leverage to influence the European Union and make it act in accordance with Turkey’s interests. The main goal of its NATO policy is to make the alliance concentrate on the situation at the Turkish-Syrian border. By inciting anti-Russian hysteria, Ankara strives to position itself as a key NATO ally in the region. It utilizes the catchphrases of Euro-Atlantic solidarity to cover up its real plans and intentions. In Azerbaijan, a friendly country for Turkey, they speak about it more plainly. «Turkey believes that Russia’s military actions will bolster Assad. That’s what Russia is trying to achieve. From Ankara's perspective, Assad getting stronger spells total failure of Turkish policy on Syria,» writes Azerbaijani Trend News Agency. More often European politicians come up with sound judgements. For instance, Czech Defense Minister Martin Stropnicky said the Russian air strikes against the Islamic State terrorists could stabilize Syria. The official believes it is reasonable to welcome anything that may calm down the situation there. He set as an example the exacerbating European refugee crisis which is a direct result of the Syria conflict. Conservative members of the UK Parliament Defense Select Committee also supported the Russia’s decision to use its Air Force for striking terrorists in Syria. In particular, Bob Stewart actually called on the West to put up with the Bashar Assad’s rule, stating that «in order to defeat the great Satan you might have to put up with a lesser devil as well». James Gray, his fellow Defense Select Committee member, said, «You can't fight both Assad and IS at the same time». Julian Lewis, Chair of the Defence Select Committee,summed up the results of debates saying that unlike the West, Russia has a consistent strategy on Syria. Today the Russia’s consistent Syria strategy – which applies to the situation in the entire Middle East, not Syria only – is intensively enforced. It gives rise to outright panic in the West. Strategy is what the United States and its close allies lack there. Their half-baked actions motivated by self-interest destabilize the situation and create breeding ground for terrorism, which has become the main threat for the world and Europe in particular. Turkey is playing its own game which has nothing to do with constructive and well thought over approaches. European ruling elites are extremely reluctant to admit the fact that Western geopolitical experiments in North Africa and the Middle East are directly related to the refugee flows of hundreds of thousand people while terrorism bred by the West is going on rampage in Syria and Iraq. They will certainly realize it as time goes by if only the national elites will not be ousted by more sagacious political forces that give priority to national interests.